Why Did Luke Write Luke? I was talking to a friend of mine this morning about the authorship of Luke. That is not exactly precise. You see, I don’t really care about the authorship of Luke, or when it was written, or to whom it was written. What I asked was why did Luke write the gospel according to Luke in the first place. His completely theological answer missed the point of the question. It wasn’t his fault. The question I’m getting at is a lot harder to ask than it seems on the surface. A notable absence in this introduction is any self-identification. He introduces the writing, but not himself. This implies the book of Luke is little more than a personal letter, not a work of record by a historian writing for all time and people. He assumes that whomever he is writing to, knows him sufficiently so that there is no need for an introduction. 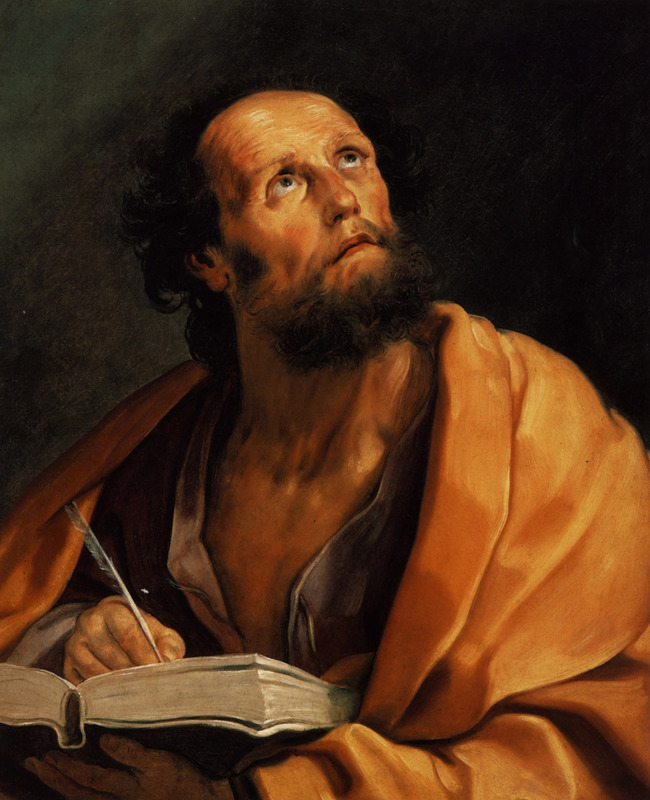 He never identifies himself as Luke, or as a companion of Paul and other apostles, or as one who traveled with Paul, or as anyone with special access to information. Additionally, he does not characterize his motivation as anything other than his own. Contrary to what many have suggested, it does not imply that he was commissioned to write this account by Theophilus. It clearly says that he took it upon himself to write it. He also did not suggest that he was, in any way, prompted by god to take up the pen. He was not miraculously inspired to write it, at least, not that he knew of. He seems to be acknowledging that he was not an eyewitness. Furthermore, he claims no special access to eyewitnesses. Other translations make that point unclear. What comes through in all translations is that he is taking on the role of an investigative reporter looking at events much talked about, but that happened at least a generation ago, perhaps more. He is also not claiming to be the first to write this type of account. His first words acknowledge the many that have come before him, doing the very same thing. What did Luke think he could add? Let me put the question a little differently. What do you think you can add? Let’s say you are a scholar of antiquities. You have learned a lot about Jesus studies, and have insights that are not found in the gospels. Do you feel worthy to write a fifth gospel? We already have the four, blessed by the Holy Spirit and the Church. How useful could your contribution be? After reading through several sources on this point, I must admit to being unclear about what it means. Looking at all other sources, including Mark’s. Luke feels it it necessary to write an “orderly” account of the Jesus story. There is no explanation of what that means. I found no agreement on what that means. The closest thing to agreement I found was the consensus that it did not refer to chronological order: something the book of Luke most certainly does not exhibit. I found one suggestion that it referred to a thematic order. But that made no sense to me, as all the gospels are in a thematic order. It just depends on the theme the writer was interested in conveying. Luke certainly had his own set of themes he wanted to convey. But that does not mean all other accounts were disorderly. Whatever he meant, we know that he looked at the other sources, and found them wanting of the order he envisioned. As far as Luke was concerned, the other two synoptics were not orderly. The second stated goal Luke gave for taking on the project was to create an account for the reader that would know the certainty of the things he/they had been taught. This line tells us something about the audience for which this was written. They were not first-generation believers who experienced the power of god firsthand. They were much like us, today. Perhaps they believed based on a smooth-talking evangelist. It is inconceivable that they had seen any miracles. This conjecture is based on the fact that their faith was flagging. They needed to be reassured, just like people today who have also never seen any convincing evidence. Perhaps Luke was the leader of a church community that was starting to drift away. All we know for sure is that he was convinced that their faith needed to be rekindled. They needed to be reminded of the truth of what they had been taught. Observe that he didn’t rekindle their faith by performing convincing miracles in their presence, or sending an apostle: one of his supposed friends, to give them a firsthand account. He needed to write a whole new gospel account of the life of Jesus. In Luke’s mind, this was the best way to bolster flagging faith. It is curious that in a time when many first-generation disciples and miracle workers were around, and available to Luke, his goto method of faith building was to turn reporter and write a book. Even more interesting is the fact that Luke did not feel that the current books on offer, Mark’s included, were sufficient to know the certainty of the things they had been taught. For that, a whole new book had to be written. Otherwise, Luke could have simply forwarded a copy of Mark and Matthew to his audience so that they could have an orderly and convincing account. He apparently did not feel those accounts were orderly or persuasive. While this was not stated explicitly in the text, implied is the idea that Luke did not altogether respect the authority of the other sources. He felt perfectly comfortable with changing the order and details of the accounts, and adding his own spin. Today, the word for that is “heresy”. He freely added and took away from Mark and Matthew’s gospel stories. He did not bother to cite or identify any of his sources. He just took what he wanted, changed what he needed to, and called it a day. Such is the stuff of sacred text. What Luke did not do is treat the existing sources as though they were authoritative on the life and ministry of Jesus. He did not think he was dealing with parts of the inspired and divine word of god. He certainly didn’t fancy himself writing scripture. These were just documents about a subject in which he was interested. He created his own document on the subject that he thought was even better, more authoritative. I wonder what John must have thought about Luke’s work when he took up the pen. Also implicit is the fact that Luke did not think the existing accounts were entirely accurate. While he didn’t say as much, he made some major changes to events. In Luke’s world, there was no sermon on the mount. It took place on a plane. Unlike Mark, Luke gave Jesus a birth narrative. But made the details quite different from Matthew’s narrative. They are not the same, and cannot be harmonized. This is true of many stories and events shared by the authors. Luke saw himself as fixing the story that others had broken. You are welcome to come to your own conclusion. Here’s mine: Luke did not find the existing sources orderly, persuasive, authoritative, or accurate. These sources likely included two of the books we call gospels. For what it’s worth, I completely agree with him. I would only add that I find his account no more orderly, persuasive, authoritative, or accurate than the others upon which he tried to improve. So much for the gospels. This entry was tagged bible, Luke, New Testament, religion. Bookmark the permalink.